A lot of us crib about our smartphones not providing a long battery life, especially if you are on Android. And there are times when you just forget to charge your handset’s battery and you don’t have a power source to plug in your charger. Well a portable charger is the answer. 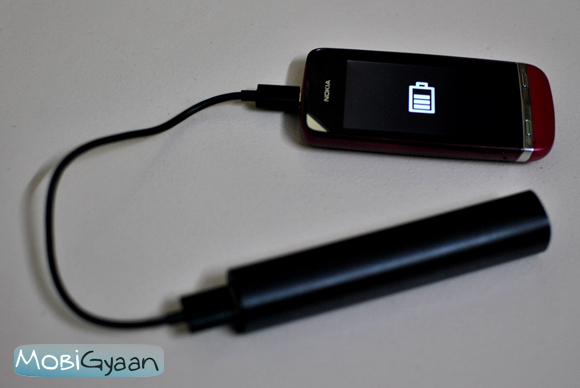 While there are a lot of brands that make portable chargers, Nokia has come up with its very own sleek looking portable charger called the DC-16. 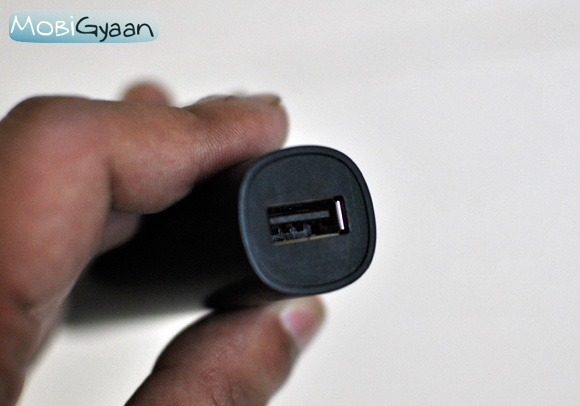 It is a cylindrical shaped tube that lets you charge almost all every device that can be charged via a USB cable. With a very simplistic approach, the DC-16 has a microUSB port to charge the charger itself and a full sized USB port where you can attach your cable to charge your handset or probably any other device. In the box you find the charger itself and a small microUSB to USB cable. Thanks to its small size and a short cable, it is very easy to carry around. 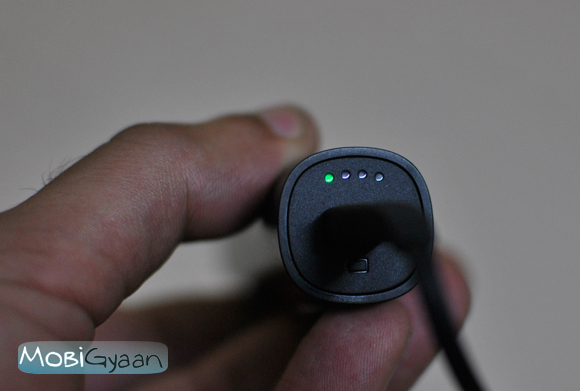 There are also 4 LED indicators to let you know how much level of charge the charger has. The LEDs light up when you are charging a device, or when you are charging the charger. 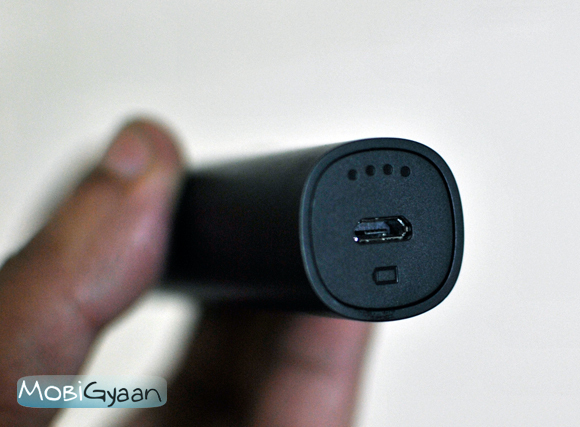 With a 2200mAh battery inside, the charger fully charges up in about 2 hours. 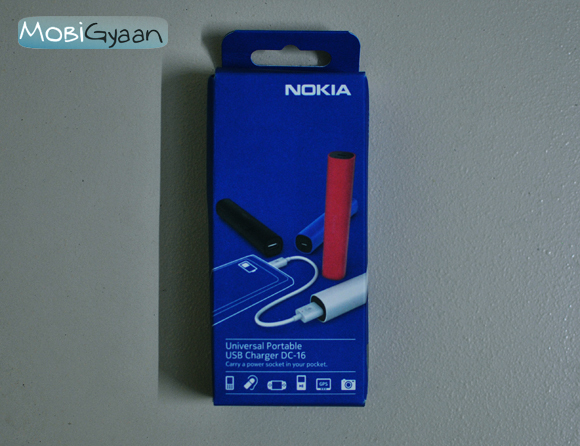 It provided us with a full charge on the Galaxy S2 and about 2 full charges on the Nokia Asha 311 which is pretty decent. It is a pretty handy thing to have as it not only charges your handsets, it can also charge up your Bluetooth headsets, your iPod, cameras, or any other device that can charged from a USB port. Priced at Rs.1,499 this is a recommended accessory that you should definitely own if you are always bugging about your devices running out of battery.